How Asthma Sufferers Can Breathe Easier With Chiropractic. With the millions of asthma sufferers seeking relief, non-traditional treatments have emerged in addition to the everyday remedies. One of the alternatives that has shown positive results is Chiropractic. A significant number of asthma attacks are brought on and exacerbated by an individual’s low immune system. Chiropractic helps increase the effectiveness of the immune system. 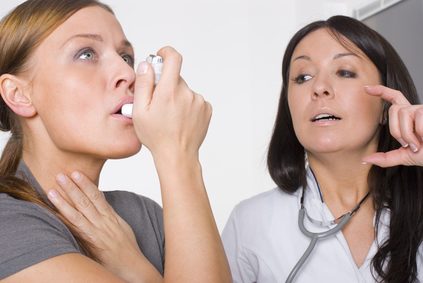 People with asthma commonly use inhalers and steroids to manage their symptoms. Chiropractic are non-invasive and works with these treatments to lessen the instances and severity of attacks. Patients who commit to Chiropractic can sometimes manage the symptoms of asthma more naturally, and lessen their dependence on medications. (It’s important to note that patients should never go off medications on their own. Always speak to a doctor before changing medications). Asthma patients fortunately have a variety of treatment options. For those who don’t respond to traditional medication, or who wish to decrease their dosage, non-traditional choices like Chiropractic may be the answer. It’s advisable to speak to both your medical doctor and Chiropractor about your asthma symptoms. By having both disciplines co-manage your case, you’ll work toward a healthier outcome, possibly even without the use of drugs. Give us a call to learn more.